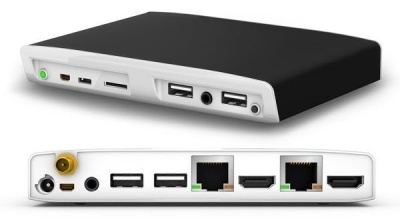 CompuLab Utilite hardware is built around the scalable and open source friendly Freescale i.MX6 family of SoC (System-on-Chip) with ARM Cortex-A9 processors, 2D/3D hardware graphics processing unit, video decoding and encoding acceleration hardware, and HDMI 1.4 1080p 3D output support. Kodi can also be installed onto a Utilite that is running Android using the normal Android instructions. This page was last edited on 23 June 2015, at 11:37.